Do You Have an OSHA Hazard Communication Plan? If your company deals with hazardous chemicals in the workplace, then you’re required to have one. The Occupational Safety and Health Administration’s (OSHA) Hazard Communication Standard requires employers to disclose hazardous chemicals in the workplace and have a written hazard communication plan in place. The goal, of course, is to protect employees from injuries or chronic health conditions caused by chemical exposure. The standard also gives staff the right to know the hazards they’re facing when at work. It’s important to note that OSHA changed its regulations in 2012 to be more compatible with international standards, known as the Globally Harmonized System (GHS). (We answer HazCom and GHS questions here.) Among those changes was renaming material safety data sheets (MSDSs) to safety data sheets (SDSs). If you don’t have a hazard communication plan in place, here’s how you can get started. First, you need to determine which chemicals present a hazard, based on the physical and chemical properties of the substance and potential health effects. You must then maintain a hazardous chemical inventory and create a written hazard communication plan — updating it as needed. OSHA requires maintaining an SDS for each hazardous chemical and making sure all employees have easy access to the SDSs. If you plan to distribute them electronically, have a backup plan in place in case there’s a power outage or system failure. In addition, labels, signs, placards and warnings provide visual reminders of specific hazards both to employees and to visitors, service representatives, housekeeping personnel, emergency personnel and others who may encounter these chemicals. And when it comes to the chemicals’ labels, they can’t be removed or defaced, unless the container is relabeled with the required information. Plus, each label must include, at the very least, the product identifier and basic information about the hazards of the chemical. All employees who work with or may be exposed to hazardous chemicals must receive information and training that will help them to work safely with those chemicals. 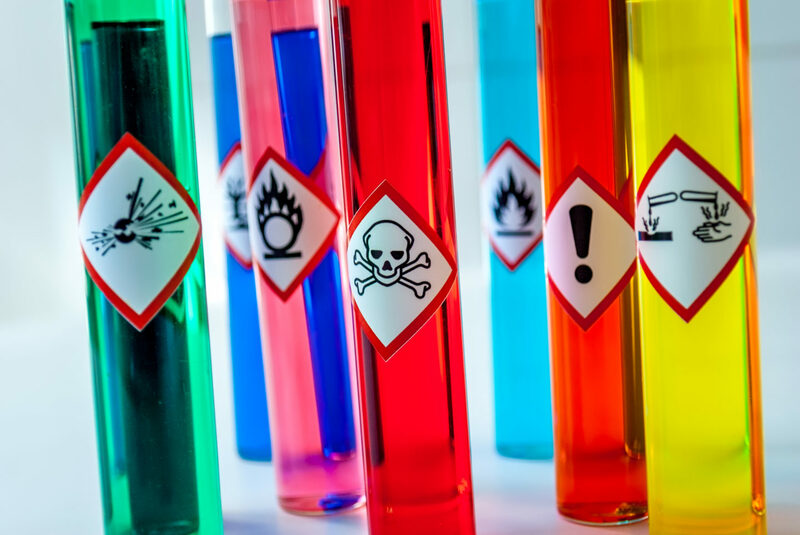 A basic description of the OSHA Hazard Communication Standard, including the requirements for container labels, SDSs and training on hazardous substances. The training should emphasize that employees have the right to receive or have their personal physician receive information contained in SDSs. Work operations where hazards are present. The known physical and health hazards associated with the chemicals in their workplace. Methods to detect the presence or release of the chemicals. Available protective measures to minimize exposures, including engineering controls, safe work practices, personal protective equipment and emergency procedures. Details of the hazard communication plan, including an explanation of the labeling system, SDSs and how to obtain and use them. We make it easy to provide this training to your staff and meet HazCom/GHS requirements.